SportsPulse: NBA Insider Jeff Zillgitt details where the Bucks go after firing head coach Jason Kidd and why it’s still too early to panic in Cleveland – despite the latest drama with Kevin Love. Golden State Warriors forward Kevin Durant said referee James Williams targeted him in the second half of Tuesday’s 123-112 victory over the New York Knicks, leading to the All-Star’s fourth ejection of the season late in the fourth quarter. 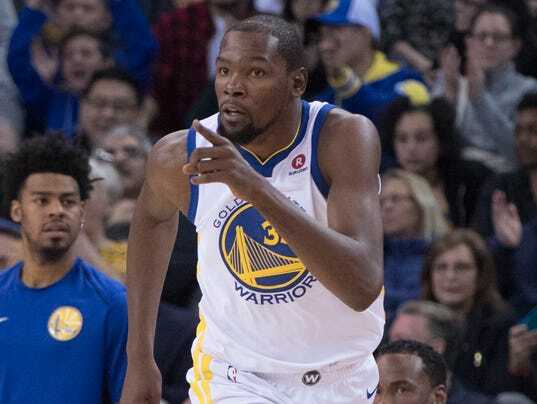 Durant claimed the official held a grudge from a disagreement in the first half and carried it into the second when he issued two technicals. “He went to halftime probably with an attitude,” Durant told reporters after the game. “So (in) the second half, his whole thing is like, he’s trying to get me. Knicks Are Near a Reunion With Tim Hardaway Jr.